And all the craggy mountains yield." 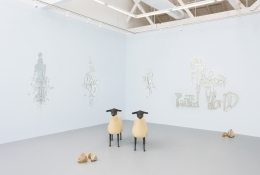 Gavlak Los Angeles is pleased to present Pastoral, a three-person exhibition of work by Claude Lalanne, François-Xavier Lalanne, and Rob Wynne. Although these three artists share over forty years of history, this is their first exhibition together. 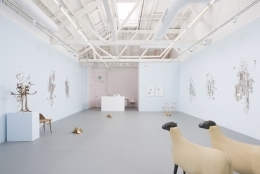 This is Wynne’s second exhibition in Los Angeles and his fourth with the gallery, and the first time that Les Lalanne, as they are collectively known, have exhibited with the gallery. The French sculptors François-Xavier Lalanne (1908 – 2008) and Claude (b. 1924) are known for their functional, surrealist works that straddle the worlds of fine art and design. Their sculptures range from concrete and wool with bronze sheep, to rhinoceros bars, alligator benches, floral flatware, and jewelry, respectively. One of the most glamorous artist couples of the 20th century scene in Paris, Les Lalanne were collected by and frequently collaborated with celebrities, designers, and other artists, such as Yves Saint Laurent, Serge Gainsbourg, Wim Wenders, and Salvador Dalí, among others. François-Xavier moved to Paris in the late 1940’s, renting a studio next to the great Constantin Brâncuși, who introduced him to Surrealists such as Man Ray and Max Ernst. These fateful introductions proved to be a great influence on both François-Xavier’s and Claude’s work. The married couple rarely collaborated on pieces, but rather co-created works alongside one another. François-Xavier’s work focused on the animal kingdom; Sheep, sharks, fish, monkeys, and birds were recurring themes in his furniture and statuary. Claude has a preference for flowers, leaves, and fruit - like her famous, L’Homme A Tete De Chou, or “The Man With the Cabbage Head” - the vegetal form anthropomorphized with human feet, another nod to the Surrealists. 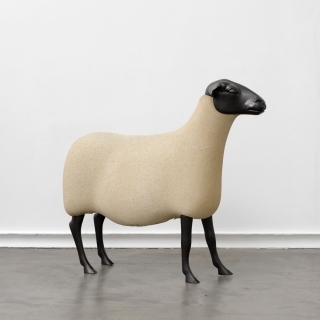 Les Lalanne’s fantastical works inspired by nature share a strong affinity with Wynne’s oeuvre. 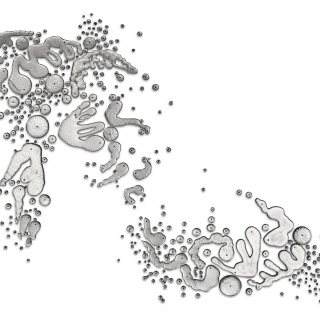 All three artists have devoted their practice to sculpture, working with organic forms that represent mythical, ethereal concepts and sensibilities that seem otherworldly and yet are simultaneously tethered to a rich history of art, literature, music, theater, poetry, and philosophy. After many years of being marginalized, even criticized, for their work being design, or simply dismissed as “decorative”, the art world has finally caught up with these pioneering artists. Their work seamlessly combines with architecture, interior design, and fashion in both gallery and museum exhibitions throughout the world. While it is not unusual for artists today to exhibit work such as furniture, lamps, clothing, and jewelry in contemporary galleries, this was not always the case. In the late 20th century, and beginning of the 21st, design and “fine art” were considered unequal, with design inhabiting a lower tier in this arbitrary hierarchy. Now, there is great appreciation for the work. Pieces such as Claude Lalanne’s bronze breastplates, commissioned by Yves Saint Laurent in 1969, and François-Xavier’s sheep, are iconic. Similarly, Rob Wynne has enjoyed a long and fruitful collaboration with the world-renowned architect Peter Marino, creating large-scale glass installations for LVMH Moët Hennessy Louis Vuitton SE and their Dior boutiques around the world. Upon entering the gallery, one is greeted with a Wynne text work stating “See The Flowers of this Painted World”, adapted from a poem by the 17th century poet and master of Haiku, Matsuo Bashō. 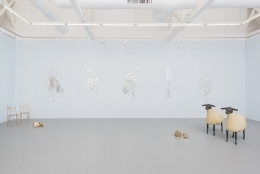 A dozen of Wynne’s glass “Cloud” wall relief sculptures drift about the room atop sky blue walls. Two of François-Xavier Lalanne’s most iconic sculptures, his concrete and bronze sheep, Mouton transhumant, 1988, stand in the middle of the landscape. 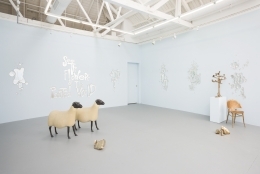 Harking back to Les Lalanne’s interest in Greek Mythology, these works are based on Homer’s Odyssey, as Ulysses and his men clung to the bellies of sheep to escape from their enemy. 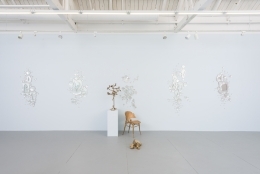 Two of Claude Lalanne’s gold-bronzed bamboo chairs, Chaise Bamboo, 2009-2014, provide an enchanting place to rest underneath Wynne’s hand-beaded on vellum butterflies, floating in their frames. More of Claude Lalanne’s functional sculptures, including a gingko leaf chair, Fauteuil Gingko, 1996-2010, and a grand, flowered vine candelabra, Candelabra dit “Structure vegetale”, 1999, provide further flora amongst François-Xavier’s bucolic fauna. 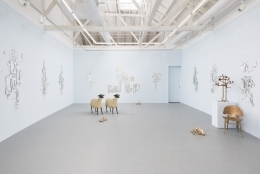 Scattered on the floor around François-Xavier’s sheep are five sets of Wynne’s Glass Rocks, 2016/2018. The fifteen “rocks” are castings of the cullet, or old glass, of which Wynne knocked out of the furnace before firing to create his poured and mirrored glass wall works. 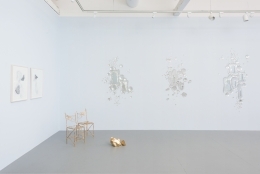 The glass fragments were cast in bronze, each work comprised of three different shapes. In addition to providing the “terrain” of the pastoral installation, the rocks also represent a satirizing of the molten constitution of glass. It is also worth noting the word “Rococo,” an art historical movement that Wynne is influenced by, originates from the French word “Rocaille,” meaning rubble. Rob Wynne (born 1950) lives and works in New York City. 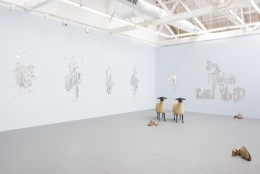 Concurrent with this exhibition is a solo show at The Brooklyn Museum entitled “FLOAT”. He has shown at The Norton Museum of Art, West Palm Beach; the McNay Art Museum, TX; P.S.1 Institute for Contemporary Art, NY; The Drawing Center, NY; and the Museum of Fine Arts, Boston, MA. Wynne's work is in the collections of the Whitney Museum of American Art, NY; The Museum of Modern Art, NY; Philadelphia Museum of Art, PA; Centre Pompidou, France; The Norton Museum of Art, FL; the Columbus Museum of Art, OH; and the Bibliotheque Nationale de France, Paris. He has also shown at Galerie Mitterrand, Paris; Galerie Edward Mitterrand, Geneva; and Holly Solomon Gallery, New York. François-Xavier Lalanne (1908 – 2008) lived and worked in France. Claude Lalanne (born 1924) lives and works in Ury, France. Together they have had solo and duo exhibitions at the Museum d'Histoire Naturelle, Paris; Musée de Nemours, Nemours, France; Musée des Beaux Arts, Agen, France; The Art Institute, Chicago, IL; Whitechapel Gallery, London; Musée Boymans, Rotterdam; Galerie Mitterrand, Paris; Paul Kasmin Gallery, New York; and Ben Brown Fine Arts, London/Hong Kong. Their work is in the collections of the Centre Georges Pompidou, Paris, France; Windsor Castle, Windsor, United Kingdom; and the Cooper-Hewitt Museum, New York. Their sculptures have also been placed in public spaces and private sculpture parks including the Third Street Promenade, Santa Monica, CA; French Embassy, New Delhi, India; Le Bon Marché, Paris; and Place de l'Hôtel-de-Ville - Esplanade de la Libération, Paris. A reception for the artist will be held Friday, September 14, from 6-8pm at Gavlak Los Angeles (1034 North Highland Avenue, Los Angeles, CA 90038). 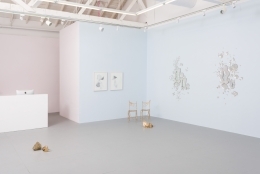 For more information, or for press inquiries, please contact Lauren Wood at lauren@gavlakgallery.com, or 323-467-5700.